November, 1944. The war in Europe is drawing to a close when the British government finally agrees to send a brigade of five thousand Jewish volunteers from Palestine to Europe to fight the German army. Among these soldiers are Israel Carmi, a veteran of the Haganah underground, a man who serves one army but whose loyalties belong to another; Johanan Peltz raised on, a vast, estate in Poland he dreams of returning home as a British officer and gentleman; and Arie Pinchuk, a former student who has returned to Europe with his own secret agenda -- to rescue his last remaining family member: the little sister he left behind. At the Senio River, Peitz leads the troops in a daring bayonet charge into the heart of the German line. When the savage hand-to-hand combat is finished, the men of the brigade emerge triumphant. At a time when Jews are being victimized, these soldiers -- yellow Stars of David emblazoned on their uniform sleeves -- show the world that a Jewish army can fight back. And win. But when the war ends and the soldiers witness firsthand the horrors their people have suffered in the concentration camps, the men launch a brutal and calculating campaign of vengeance, forming secret squads to identify, locate, and kill Nazi officers in hiding. Their own ferocity threatens to overwhelm them until a fortuitous encounter with an orphaned girl sets the men on a course of action -- rescuing Jewish war orphans and transporting them to Palestine -- that will not only change their lives but also forever alter the course of world history. 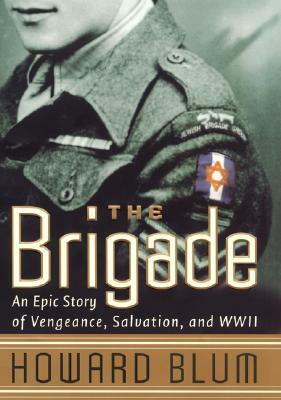 With The Brigade, bestselling author Howard Blum has written his most harrowing and important book to date -- a story that is certain to make headlines as well as provoke debate about the moral elements ofjustice, the dividing lines between good and evil, and the possibility of redemption.